Well, the official name is actually " Coca-Cola Orange." And it tastes like, wait for it, Coke with orange. As you can see, the drink is not orange colored. That's good. While people in Japan are quite surprised to see orange Coke, some folks abroad may not be! 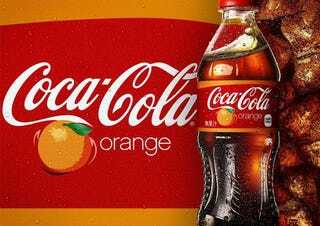 Back in 2007, Coca-Cola Orange was offered for a limited time in the UK, and The Coca-Cola Company has sold its cola-meets-orange drink Mezzo Mix in Germany since the 1970s. Then, there's also Spezi, a German soft drink that mixes cola and orange. This, however, is the first time Coke has launched the drink in Japan.